This Monday (Feb. 15) Supergirl is off because of the Grammy Awards on CBS, so episode fourteen will air next Monday, Feb. 22. 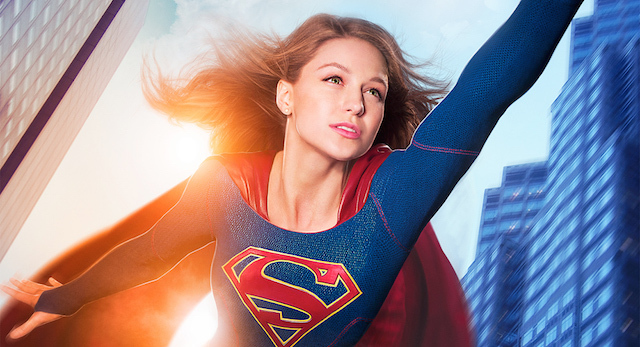 Although we don't have a clip from the new episode at this point, CBS has dropped a batch of pics and a synopsis to get us primed for Supergirl's return next week. "Supergirl does battle with the deadly Master Jailer (Jeff Branson), who is hunting and executing escaped Fort Rozz prisoners. Also, Cat hires a second assistant, Siobhan Smythe (Italia Ricci), who immediately tries to one-up Kara, and Kara and James disagree over the DEO’s methods, on SUPERGIRL, Monday, Feb. 22 (8:00-9:00 PM, ET/PT) on the CBS Television Network." Note: Episode 14 is directed by German filmmaker Lexi Alexander, who directed the feature film Punisher: War Zone, as well as episode 404 of Arrow. Flickering Myth has compiled all the promo pics below.